When will be Daniel Boone (1964) next episode air date? Is Daniel Boone (1964) renewed or cancelled? Where to countdown Daniel Boone (1964) air dates? Is Daniel Boone (1964) worth watching? Classic frontier drama that aired on NBC from 1964 until 1970. 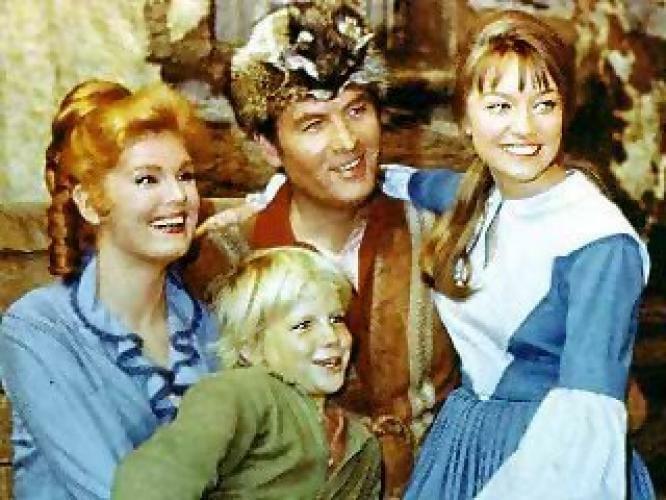 Fess Parker starred as legendary frontiersman Daniel Boone who conducted surveys, interacted with friendly and hostile Native Americans, and fought for the American cause during the Revolutionary War all the while providing wise leadership to the new Kentucky settlement of Boonesborough. Daniel was aided in his adventures by Oxford educated Cherokee Mingo (Ed Ames), lovely redheaded wife Rebecca (Patricia Blair), precocious son Israel (Darby Hinton), teenage daughter Jemima (Veronica Cartwright), tavern keeper Cincinnatus (Dallas McKennon), runaway slave turned Native American chief Gabriel Cooper (Rosie Grier), and amiable oafs Yadkin (Albert Salmi) and Josh Clements (Jimmy Dean). EpisoDate.com is your TV show guide to Countdown Daniel Boone (1964) Episode Air Dates and to stay in touch with Daniel Boone (1964) next episode Air Date and your others favorite TV Shows. Add the shows you like to a "Watchlist" and let the site take it from there.